What makes a great leader? | Safety to grow. Boundaries to Protect. A great leader is curious about new ideas. A great leader holds the container for others. From the above, the ability of the leader to demonstrate positive characteristics and refrain from negative behaviours is crucial to the team success. We refer to this as the ability to develop trust by holding the container so that the group experiences safety to grow and boundaries to protect. Within this container, individuals feel safe to challenge and be challenged because they sense not only physical, but also psychological, safety. There is trust and respect. As we listen to great leaders, we sense that their intent is not to fix all the problems but rather to create space for others to solve their own challenges. The difference is so significant because we each hold a unique set of beliefs and attitudes about how things should be and through shared experiences, we can begin to create solutions for the good of the whole. A great leader is aware of reactions. As pressure is exerted by external conditions, such as aggressive targets, uncertainty and diverse populations, the natural response is to attempt to control conditions for comfort. As pressure mounts, the reactive tendencies increase. Interestingly, each individual on the team will react to triggers based on individual beliefs and experiences and organizational and cultural attitudes. The challenge becomes how to calm the reactions. If the leader demonstrates a sense of calm and purpose, this is felt by team members and correspondingly, they will limit their defensive, reactive tendencies. The challenge becomes whether a leader is aware of these reactive tendencies. Many times our reactions derail us and our beliefs blind us because they operate at a level below our awareness. We believe that we are right and that it is others who need to change. The stronger our believe, the greater the intensity of the reaction. However, as a leader there is an expectation that we will fix things and to do this, our common response is to activate Kahler’s Drivers to be strong and try harder. A great leader is willing to develop. We are programmed to believe that we are right and others need to change. So why would we ever want to change something that we believe to be right? We are in a much better position than subordinates to self-regulate. If external demands increase, we have access to resources to delegate and the ability to point a finger in the other direction. We have probably worked with many development tools with limited results on curbing habitual, reactive patterns of behaviour. So why bother? In my book, Logosynthesis: Enjoying Life More Fully (Caswell, 2017), I describe how my perception was that I was right and others needed to change their behaviours and attitudes to get the job done – properly. This took a great deal of energy. I worked with numerous personal development tools, exercise and meditation to support my leadership development – with limited results on curbing habits. However, I was stubborn and I never stopped looking for a new approach. We provide an effective, new approach. My learning transformed when I was introduced to the Logosynthesis® method through a coincidental meeting. Developed as an effective guided-change method to heal trauma and anxiety, the technique identifies, isolates and neutralizes the impact of the images, sounds and other sensory perceptions that result in distress. By applying the same technique to the beliefs and attitudes that triggered reactive (perhaps somewhat irrational) behaviours, I was able to shift from the Defensive quadrant to the Generative quadrant described in the article highlighted above. 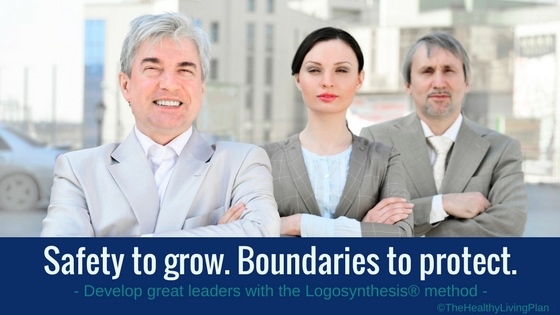 To learn more about how the Logosynthesis® method can support you as a great leader, contact us.